Bong Quinto and Robert Quinto are picked over CJ Perez of Lyceum and St. Benilde's Justing Gutang for the weekly plum. A SPECIAL week in NCAA Season 94 ended with unique performances by two players. 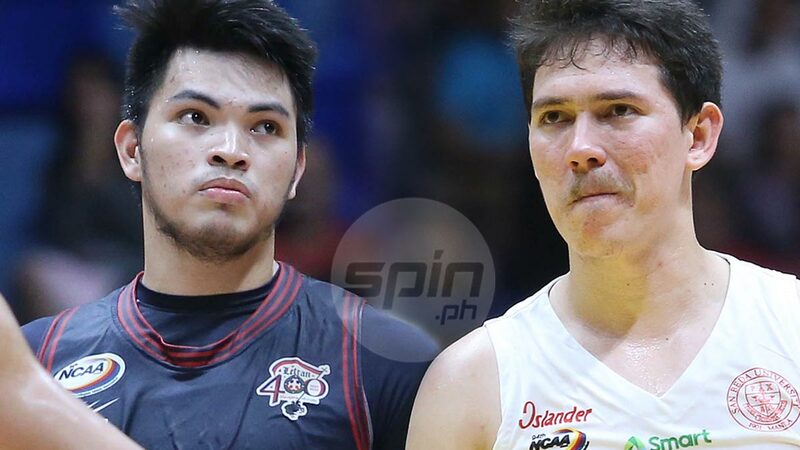 San Beda's Robert Bolick and Letran's Bong Quinto put up performances that won't be replicated in the foreseeable future, forcing the NCAA Press Corps to make them co-winners of the Player of the Week award. Bolick came away with the best scoring performance the league has seen in 44 years as he dropped 50 on a hapless Arellano side in San Beda's 98-79 win last Friday. The 6-1 guard out of Leyte made 18 of his 25 shots from the field and all nine of his free throws to put together the second highest scoring output in league history, next only to Lim Eng Beng's 55 back when La Salle was still in the NCAA. "You can't really compare Robert to anyone ‘cause iba-iba sila ng laro but again, nag-iisa lang ang Robert Bolick," said Red Lions coach Boyet Fernandez. "August 24, I declare it as Robert Bolick day," he added. While Bolick made his mark when it comes to scoring, Quinto pretty much did everything else. The do-it-all forward put together two triple-doubles in a span of four days as the Knights swept their last two games of the elimination round with wins over Mapua and Emilio Aguinaldo College. The former Juniors MVP averaged 12 points, 10 rebounds and 10.5 assists in that stretch - joining the likes of now-PBA stars Calvin Abueva and Scottie Thompson as the only players to notch back-to-back triple-doubles. "Bong Quinto is truly our leader. He is setting an example kaya nagiging maganda takbo namin," said Letran head coach Jeff Napa. "If Bong plays well, everybody plays well. Ang maganda ay in-accept na niya yung pagiging leader ng team." The pair's performances were so rare that it completeley overshadowed a string of other standout players for the week. Bolick and Quinto edged out the likes of CJ Perez of Lyceum and St. Benilde's Justing Gutang for the weekly plum.